This Sunday, Hong Kong’s Indonesian community will gather to cast votes for their country’s president, vice-president and legislature. However, not all of the city’s 180,000 Indonesian domestic workers will be able to participate. The leadership race between incumbent President Joko Widodo and retired military general Prabowo Subianto is tight, and the votes of the archipelago’s two million expatriates can be decisive. A rally of coalition parties supporting the opposition, presidential candidate Prabowo Subianto and vice-presidential candidate Sandiaga Uno, in front of Central Library. Photo: Junko Asano. For the legislative elections, the overseas bloc is even stronger. 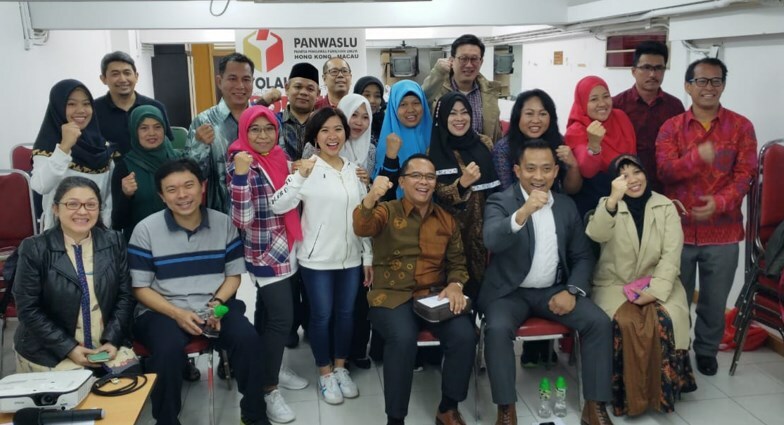 Votes abroad make up two million out of a total of 4.4 million votes in the Jakarta Capital Special Region II, which fills seven of the 560 seats in the legislature. Legislator Masington pasaribu explaining to Indonesian citizens how to vote. Photo: Masington Pasaribu, via Instagram. Dozens of legislative candidates have flown to Hong Kong to campaign amongst the city’s migrant workers over the past six months. 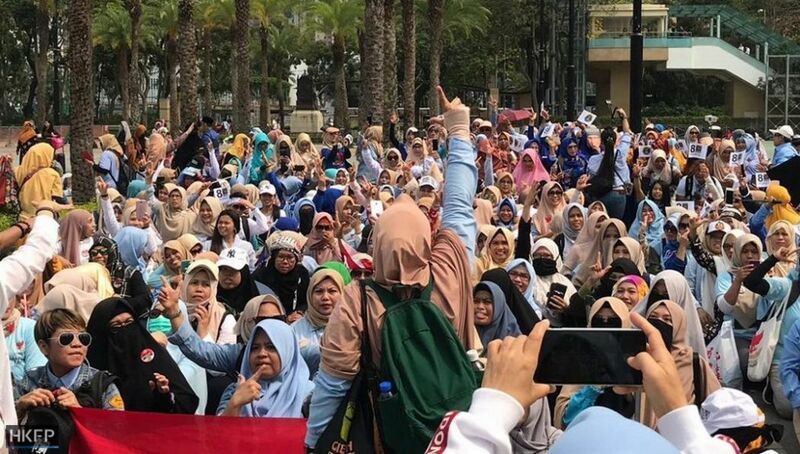 But although almost all of the city’s 180,000 Indonesian domestic workers are registered to vote, many are upset that restrictive employment conditions prevent them from exercising their rights. “It is difficult for many domestic workers to vote because identity documents like passports and HKIDs required at polling stations are often held illegally either by their employer or employment agent,” said Chair of the Indonesian Migrant Workers Union Sringatin, who – like many Indonesians – goes by one name. In an effort to increase turnout, the Indonesian Consulate sent out official letters on March 18 requesting that employers and employment agencies return identity documents like passports and HKIDs to domestic workers: “We have also asked all domestic workers who encounter such issues to report directly to us so we can help,” Indonesian Consul-General Tri Tharyat told HKFP. The Indonesian Overseas Election Committee (HK) has also been seeking to improve turnout. The seven-person committee, formed by the Indonesian General Election Commission to carry out elections abroad, has sent out 29,000 postal votes to those unable to vote in person. Indonesian authorities and representatives from political parties preparing for the elections. Photo: Indonesian Consulate. Cheng added that minor administrative errors can also render postal votes invalid. 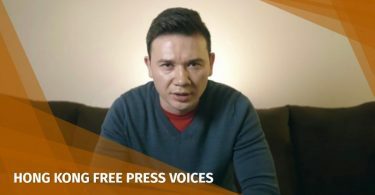 “We have many members who have received postal votes with two presidential candidate voting papers or two legislative candidate voting papers. Others receive the right postal votes but with the wrong name or address. A complete postal vote includes presidential and vice-presidential voting papers in one envelope and legislative voting papers in another. Photo: Michael Cheng. 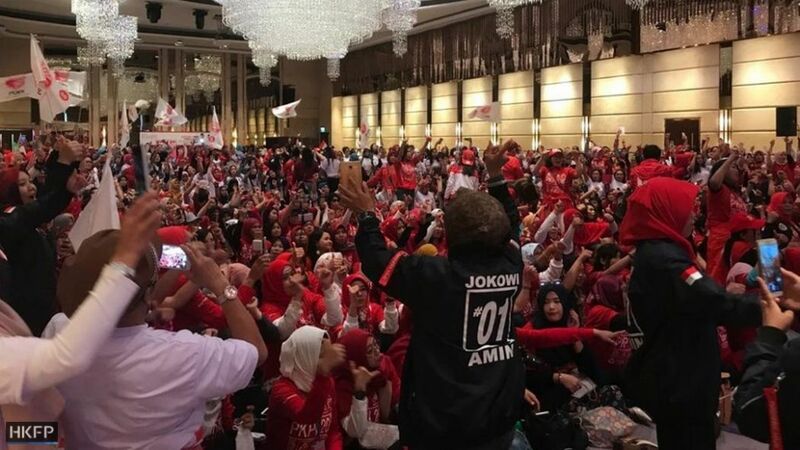 The nationalist Indonesian Justice and Unity Party’s campaign for President Joko Widodo and Vice-President Ma’aruf Amin at the Grand Harbour Hotel in Fortress Hill. Photo: Junko Asano. 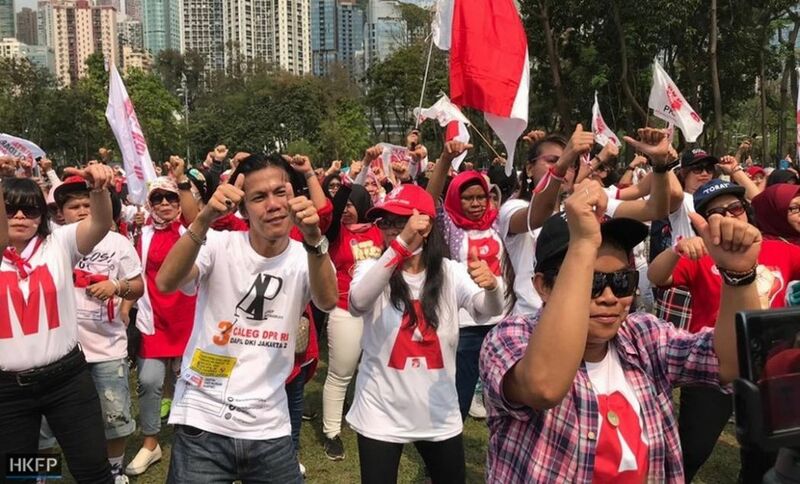 Legislative candidate Arief Patraman from the nationalist People’s Conscience Party, headed by former military commander Wiranto, dances in a campaign song with the President Jokowi Volunteer group in Victoria Park. Photo: Junko Asano. “In some cases, the domestic worker is still young and doesn’t really know much about voting. Instead, employers are the ones who call us and make sure that they receive all the right documents for their domestic worker to vote,” Supranto told HKFP, urging employers to help out.